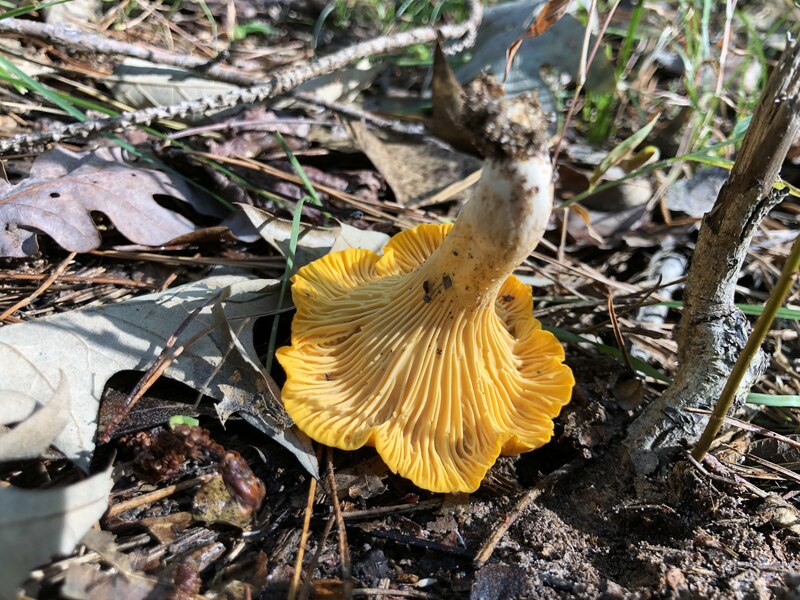 Chanterelle is the common name of several species of fungi in the genera Cantharellus, Craterellus, Gomphus, and Polyozellus. They are the among the most popular of edible wild mushrooms. They are orange, yellow or white, meaty and funnel-shaped. On the lower surface, underneath the smooth cap, most species have gill-like ridges that run almost all the way down its stipe, which tapers down seamlessly from the cap. Many species emit a fruity aroma, reminiscent of apricots, and often have a mildly peppery taste.